Lucrecia Marie Weaver HND in Legal Studies, LLB Dip.LP, N.P. Solas Qualified. Lucy was brought up in Pollokshields and was educated at Hutchesons’ Grammar School, Glasgow Caledonian University and Strathclyde University. Lucy has been in Private Practice for nearly 17 years and was delighted to be able to join Debra as a partner in 2015. Lucy has also been involved in legal education holding the post of Tutor on both the Conveyancing and Property Law and Private Client courses at the University of Glasgow. Lucy’s experience was primarily in property law, residential and commercial conveyancing and executry work, however after finding herself “on the other side of the table” about 7 years ago when her own Grandmother was diagnosed with dementia, Lucy became an advocate for the rights of the elderly and has since gained expertise in the area of law dealing with Adult Incapacity and assists families in granting Powers of Attorney or obtaining Guardianship orders. Lucy is also collaborating with her partner Debra in the production of a nationwide conveyancing manual for use by both practitioners and students. 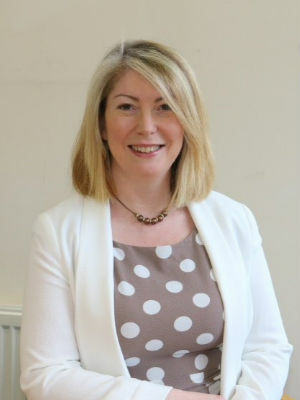 As well as working in the area Lucy is a local resident and is well known locally being involved in organising community events and advising local businesses and business owners in commercial matters. Other than reading Lucy currently does not have any hobbies – however she intends to take up something interesting when she is no longer a taxi service for her children...watch this space.